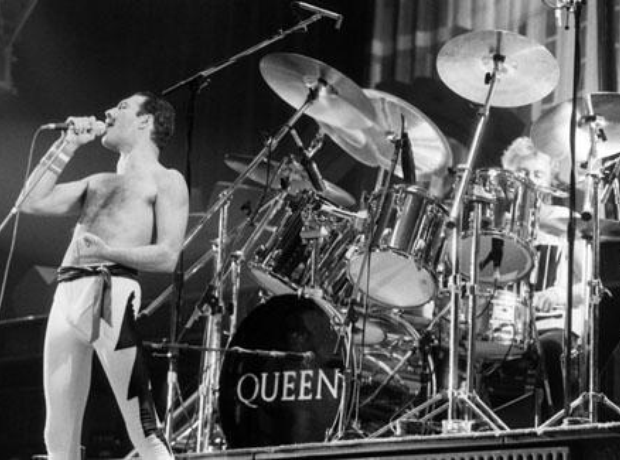 Queen perform on stage at Wembley Arena during 'The Works Tour' in 1984. The band giving an electric performance at Live Aid in 1985. Freddie Mercury performing on stage at the Golden Rose Rock Festival in Switzerland in 1986. Queen collecting the Outstanding Contribution Award at the Brits in 1990.